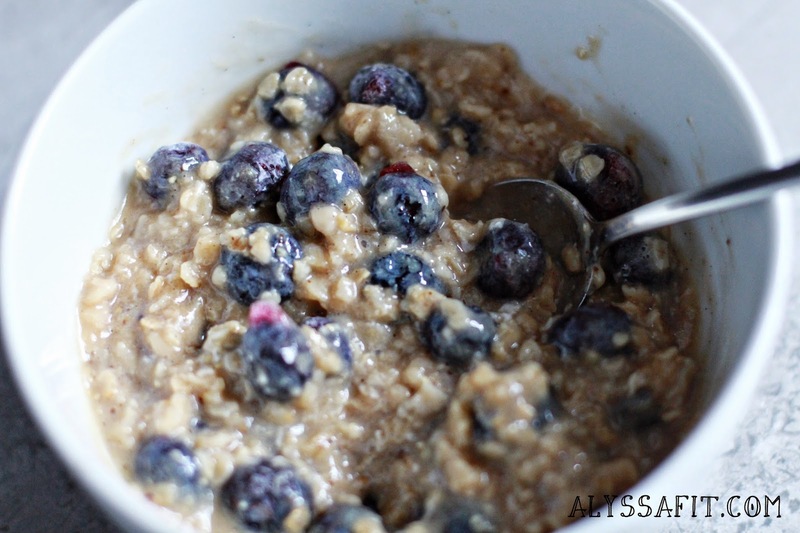 Oatmeal is one of my favorite, easy go-to breakfast meals. It is the perfect choice to fuel my morning and just like Greek yogurt, there are so many options to make it your own! A great variation is this banana bread slow cooker oatmeal from Garnish with Lemon (ingredients photographed below). 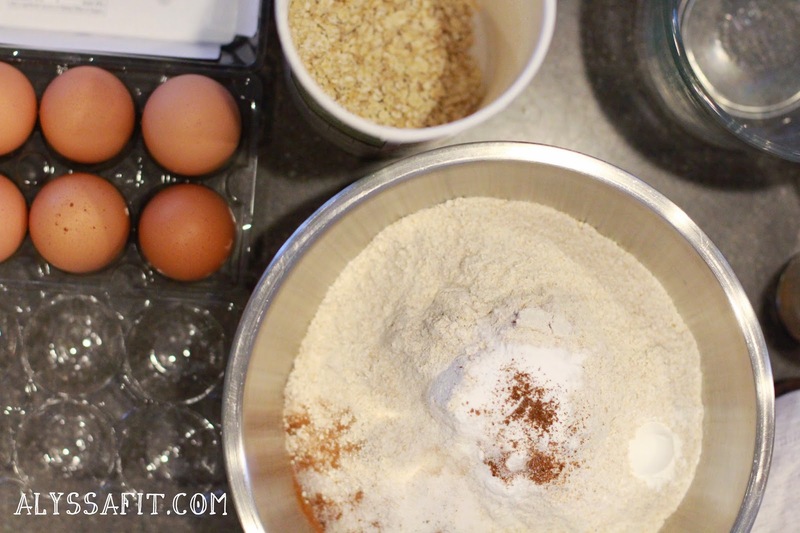 This method uses steel cut oats, so it is a bit thicker. Initial prep takes more planning, but this recipe is easy to make on Sunday and keep for breakfast all week! 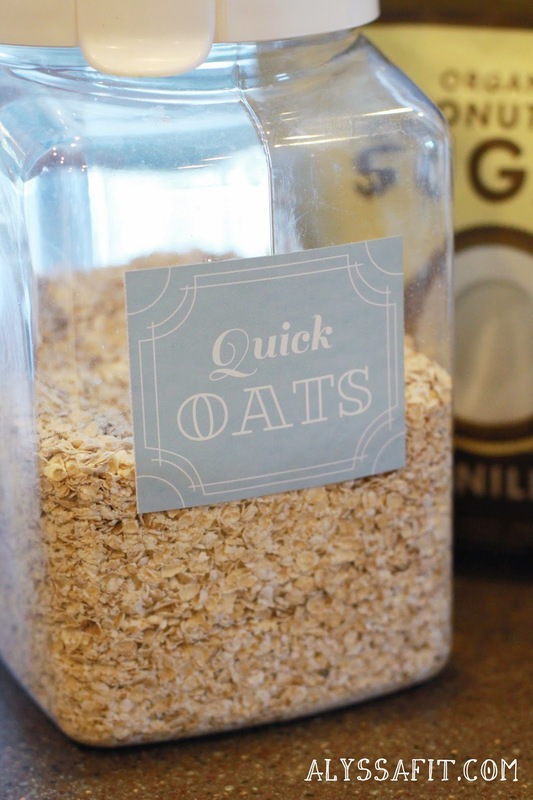 My favorite method uses quick oats made on the stove. Ready in less than 5 minutes and family approved! If you are following the 21 Day Fix nutrition plan, this is a very hearty way to start your day! Bring water to a boil in small saucepan. Stir in quick oats and cook for 30 seconds on medium heat. Stir in egg whites and cook for an additional 45-60 seconds, until desired consistency. Oatmeal will thicken a bit as it cools. Pour cooked oatmeal into bowl and add coconut palm sugar. Stir in blueberries and enjoy!